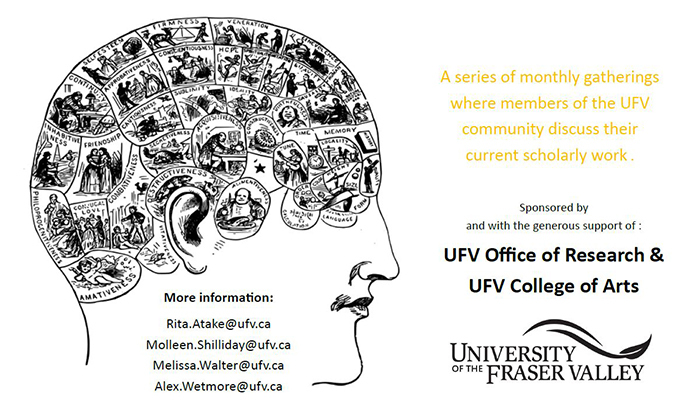 The SSI is a series of monthly gatherings where members of the UFV community share and discuss their work. The SSI is an organic environment designed to foster collegial discussions. Light lunch is served, and all are welcome. For more information, please contact Melissa.Walter@ufv.ca, Alex.Wetmore@ufv.ca, Molleen.Shilliday@ufv.ca or Rita.Atake@ufv.ca.